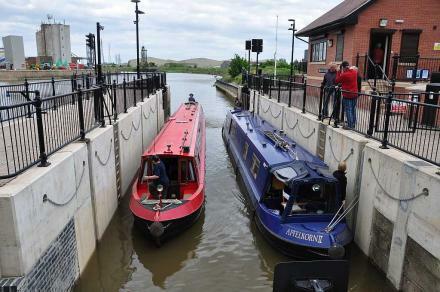 The Fens Waterways Link is one of the most significant waterway projects to take place in the UK for two centuries. It will connect the Cathedral cities of Lincoln, Peterborough and Ely, opening up 240km of new and existing waterways. It is hoped the project will put the Fens on the map as a nationally recognised destination, as well known as the Norfolk Broads. Create opportunities for increased leisure, tourism and regeneration, attracting economic development and employment. Develop a unique image of the Fens Waterways as a world-class tourist destination, a place for healthy activity in the great outdoors, and place to escape. Open access to the rich heritage, culture and history of the fens through time. Benefit the natural environment, linking major wetland sites, creating new habitats and supporting the future of our unique fenland wildlife. Help improve water supplies and flood defences by improving our water storage, transfer and drainage infrastructure. Provide a regional water-based transport corridor for people and freight. Give local people a sense of ownership of their local waterways as a place of belonging with rich opportunities for recreation, enjoyment and healthy activities. Promote waterways as a venue for learning, training and skills development, providing opportunities for people of all ages to engage with their environment. Enable visitors, businesses and other community members to become champions for the waterways at the heart of local communities. The project is divided into six phases. Phase 1, Boston Lock Link, was completed in 2009. This involved the opening of Black Sluice Lock (map item 1), thereby providing access to 35km of navigation which had been closed for 50 years. The disused lock cottages were turned into a visitor centre and café, and new moorings were created. Other improvements include picnic areas, footpaths/cycleways, fishing platforms, fish refuges and sand martin banks. 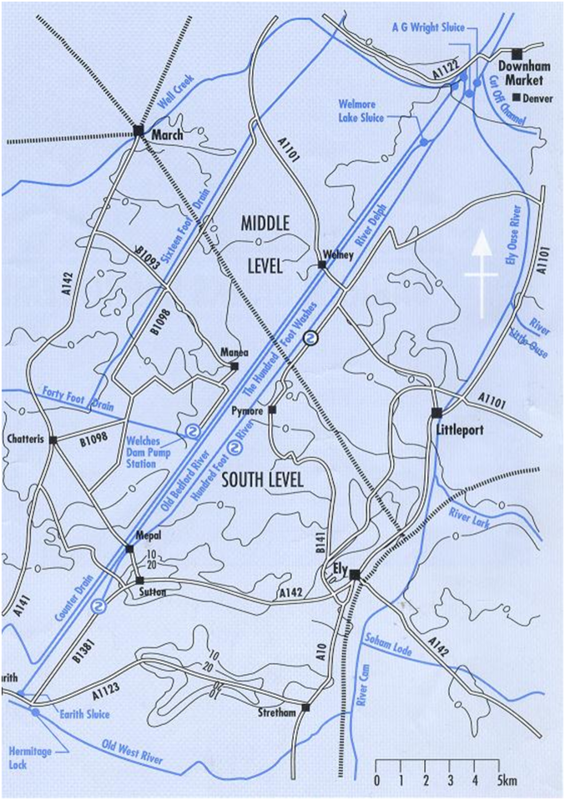 The Ouse Washes LP area is within Phase 6 of the project: ‘Peterborough to Denver Link – linking the River Nene across the Middle Level Navigations to the River Great Ouse’. Details have not yet been finalised, but it is hoped that the following developments will be possible. The Denver Hydro Hub would provide an array of information and activities for visitors. Using existing rights of way, a number of circular routes would be created. There would also be opportunities for bike, boat and canoe hire and boat trips. New Hundred Foot Tidal River moorings near Mepal and Welney, allowing access to attractions such as WWT Welney, and providing the opportunity for boat trips to operate. 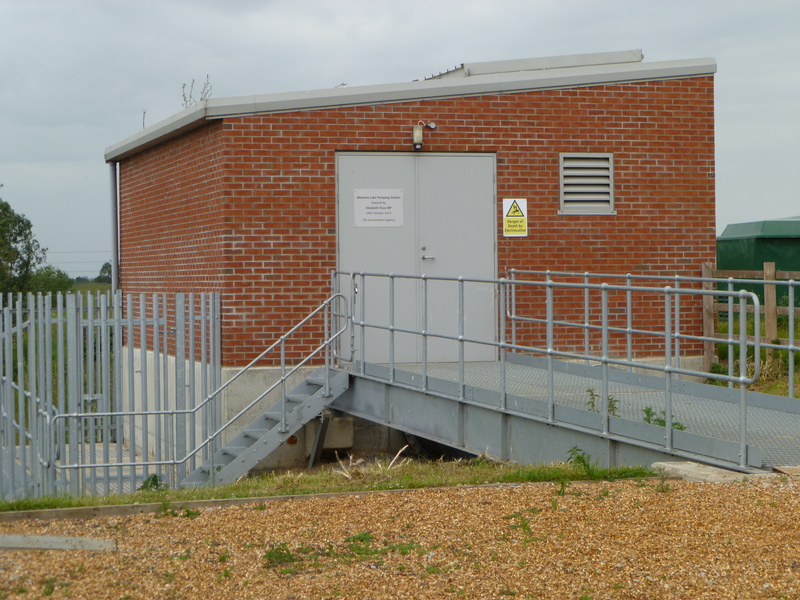 The Hermitage Lock Hydro Hub at Earith would involve commercial redevelopment of the lock keeper’s house, e.g. restaurant, holiday let, cycle hire, car parking. 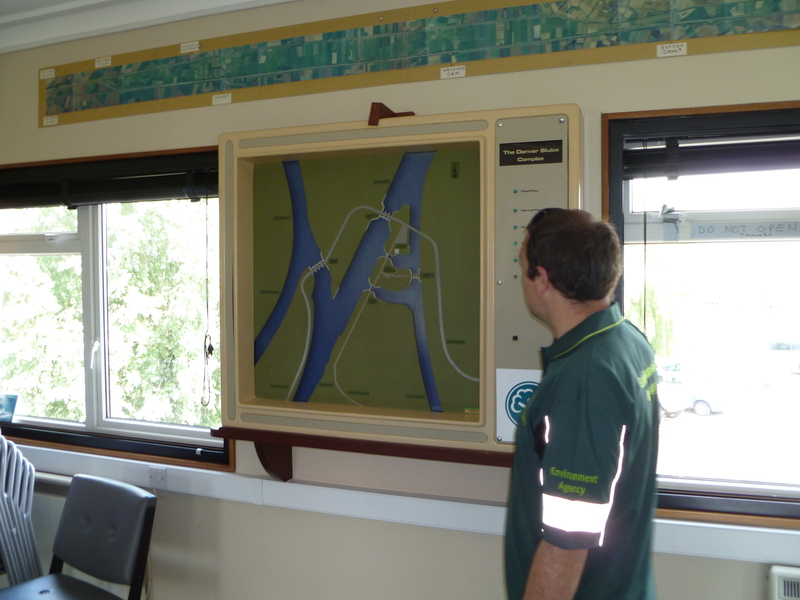 Improving navigation around Welches Dam to better connect the Great Ouse system with the Middle Level Navigations. Currently Welches Dam Lock is closed, so access between the Old Bedford River and the Forty Foot is not possible. was expected to take 15-20 years to complete. Construction costs were estimated at £130 million, partly funded by the Environment Agency and partly from other sources. In 2004 funds had been allocated for the initial stages of the project, and further funding was being investigated from possible sources such as local authorities, the Lottery and the European Union. Although the current economic climate has impacted on the delivery of the Link, work is progressing. Earlier in the summer I visited the John Martin Sluice at Welmore Lake. It is located at the point where the River Delph joins the New Bedford River, and can be accessed via a bridleway from Salters Lode. This is the most northerly part of the Ouse Washes flood storage area (see here for a simple description of how the Ouse Washes work). The location of the John Martin Sluice in relation to the Denver Sluice Complex can be seen in the diagram below (bottom left hand corner). The John Martin Sluice serves two purposes. As levels rise in the Old Bedford/River Delph, water flows onto the Ouse Washes. This water spreads northwards across the washes, and is held back by the sluice. Water is discharged by gravity through the sluice when levels in the Old Bedford/Delph are higher than in the New Bedford River. In spring, gravity drainage is sometimes not sufficient to attain the desired water level on the Ouse Washes. When this happens the electrically powered pumping station is put into operation to pump the remaining surplus downstream of the sluice. The second role of the sluice is to stop tidal surges from the Tidal River entering the washes. This saline water would have an adverse environmental impact. The current sluice, completed in 1999, was named after John Martin, a local landowner who over the years has made a large contribution to water management in the area. It has three sets of gates and has a 50% greater discharge capacity than the previous 1933 sluice. The old sluice was located 70 metres upstream of the outfall into the tidal river, which led to silt building up in front of the gates and stopping them from opening. To reduce the build-up of silt the current sluice is positioned closer to the tidal river and is also fitted with silt jetting equipment. 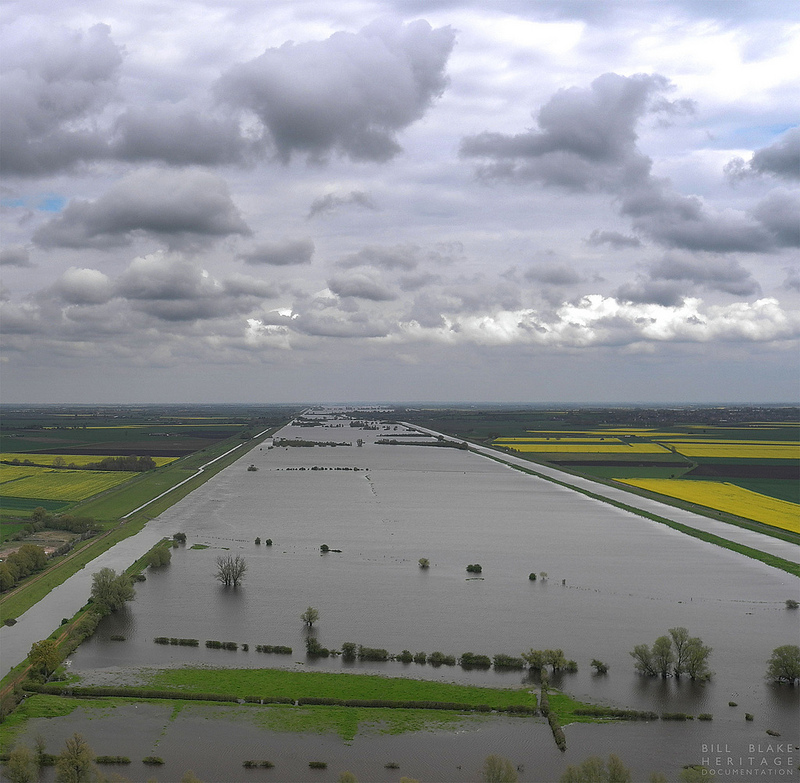 However, in spite of these measures, frequency, duration and depth of flooding in the Ouse Washes is increasing, causing problems for both people and the environment, such as flooding of the A1101 at Welney and shortage of breeding grounds for wading birds. There are multiple reasons for this increase in flooding. One factor is the large amount of silt in the tidal river, which creates higher riverbed levels, resulting in higher water levels. This reduces gravity drainage from the Ouse Washes, thereby causing water to drain more slowly than it did in the past. Twice a day silt is carried in on the tide from The Wash. The outgoing tide travels more slowly than the incoming tide, and this causes silt to be deposited on the bed of the Tidal River. Good freshwater flows are needed to flush the silt out but, particularly during periods of winter drought, the silt accumulates. After several years of low river flows and increased silt build-up, last year’s high rainfall provided a well-needed flush of the system. Bed levels of the Tidal River around Denver have now returned to circa the 2002 figures. In the future, rising sea levels caused by climate change are likely to have an increasing impact on how quickly water can drain off the washes, and so the problem of flooding is likely to increase. 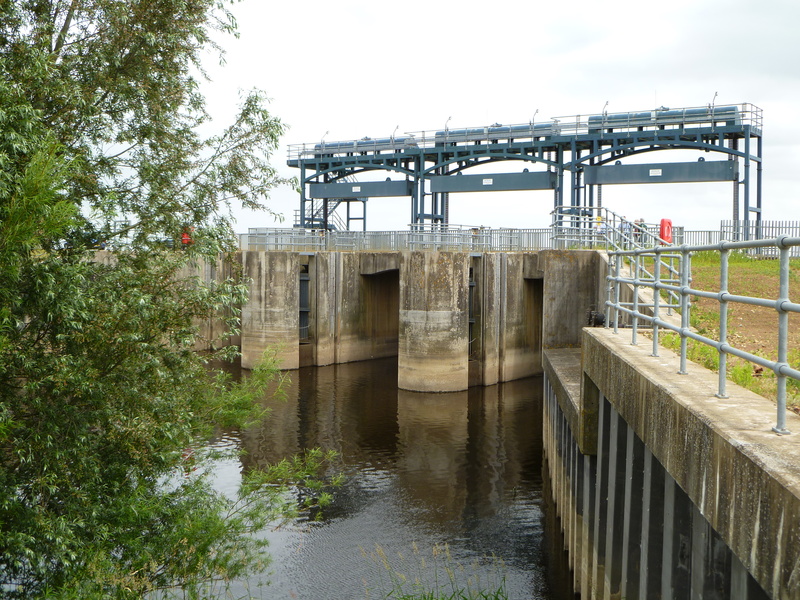 Whilst the John Martin Sluice in itself works effectively, it can be seen that there are wider issues that reduce the rate at which the Ouse Washes can drain. This is an on-going problem for which there is no simple solution. We would be very interested to hear your thoughts on the management of this complex system. We are currently in the ‘development phase’ (Development Phase has commenced) of the Ouse Washes LP Scheme (About Ouse Washes LP). This involves research and planning to ensure that the scheme is as effective as possible when the delivery phase begins in 2014. The title of this conference, ‘Finding Character and Audiences’ reflects the above topics. As part of the development phase we have been seeking feedback from stakeholders and the wider community, finding out what people value about the landscape and how they might be encouraged to engage further with the landscape and its heritage. 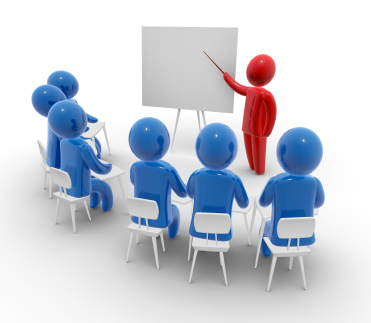 An important element of the conference will be a series of workshops. These will provide an opportunity for discussions surrounding the legacy of the scheme and the future management of this fascinating landscape. A large focus of the scheme is on community involvement, as this is key to providing a future for the landscape, its heritage and the people who live here. That’s why we want to get as many people involved as possible. If you have an interest in the landscape do come along to this free conference, and please pass this on to anyone else you think may be keen to attend. My name is Anna Growns and, like Peter Stroud (see here for his previous post) I am also working as a summer placement volunteer for the Ouse Washes Landscape Partnership Scheme. Now in my second week I think I can safely say that I am beginning to get a feel for it all! The scheme brings together a wide variety of projects, and it is fascinating learning more about what makes the Ouse Washes such a unique landscape. There is so much to find out, and I am becoming aware of how little I really know about the area where I live – my reading list grows by the day! I am currently focusing on water management in the area, which is of particular interest to me as I am hoping to work towards a career in flood risk management. On Monday I visited the Denver Sluice Complex. The morning started with a talk given by Dan Pollard, who works for the Environment Agency, based at the Denver Sluice Complex. His job involves monitoring river levels and adjusting the sluices accordingly. I also met John Martin, a local farmer who owns land immediately adjacent to the Ouse Washes. He was involved in both the 1987 refurbishment of the Denver Sluice, and the Welmore Lake Sluice (which is now also known as the John Martin Sluice). It was interesting to hear about the potential conflicts between those who use the area; farmers, conservationists, anglers and boaters, amongst others. I will discuss these issues in more detail at a later date, but for now all I’ll add is that there is no perfect solution to managing the area, but perhaps by working together to understand the problems, a fairer outcome could be achieved. Dan Pollard (Environment Agency) explaining the complexity of managing the Denver Sluice Complex and its many waterways. Anyway, I mustn’t get side-tracked – back to Denver Sluices! Denver Sluice is just one of several in the area that make up the Denver Sluice Complex. They play a vital role in controlling river levels, and are successful in stopping the low-lying fenland from flooding. I suppose before discussing the sluices it makes sense to begin with a wider look at the function of the Ouse Washes. The diagram below shows the area from Earith in the south to Downham Market in the north. The Ouse Washes lie between the New Bedford River to the east, and the Old Bedford/River Delph to the west. As previously mentioned in this post, these channels were created as part of Vermuyden’s scheme to drain the fens. The first channel, the Old Bedford River, was cut in 1630, and the second, the New Bedford River or Hundred Foot Drain, was constructed 20 years later. As can be seen from the diagram, this considerably shortens the route that water takes from Earith to Downham Market on its journey to the sea (where previously the water would have followed the course of the Great Ouse River to the east), thereby diverting water from the surrounding fenland and discharging it more quickly. 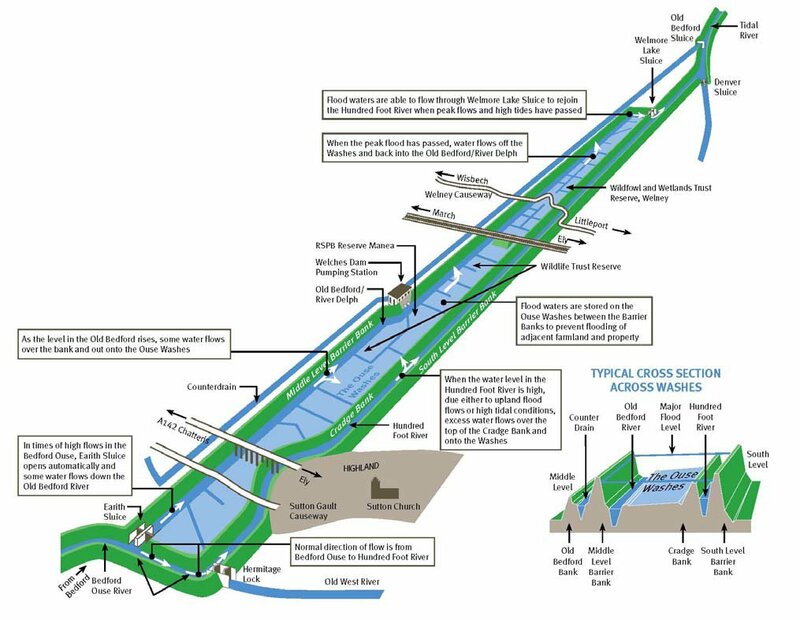 Schematic layout of the Ouse Washes flood system. It also shows the relatively few crossings over the washes. Source: Environment Agency and http://www.ousewashes.info. Click on the map to enlarge.